Play the role of the urban rock chick with this absolutely awesome necklace. No guts no glory! 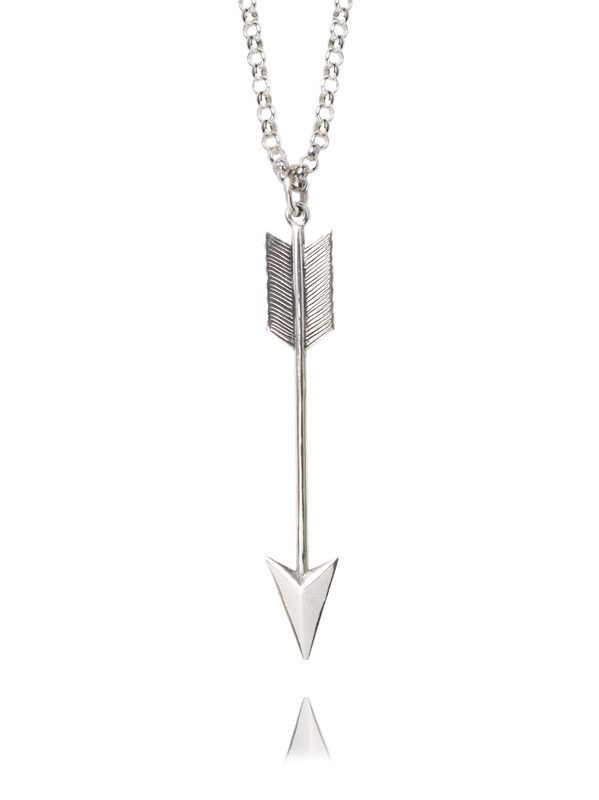 The white bronze arrow measures 6cm in length and hangs on a solid sterling silver 80cm fine belcher chain which measure 0.3cm in width. The chain is long enough that you could double it up and wear it short if you wanted that option.